Welcome to Healthy Smiles of Lakeway! I want to take this opportunity to thank you for visiting our site. We welcome you and we believe that this website is an extension of our office. It was designed to reflect who we are and how we can help you achieve your health, wellness and cosmetic goals. Our featured services include Invisalign, TMJ (jaw joint) treatment and Dental Implants. We offer the most advanced technology in Cosmetic Dentistry available. In-Office and at-home Teeth Whitening, Porcelain Veneers, Orthodontic treatment and All-Ceramic Crowns are some examples of how we are able to restore and redesign our patients' smiles. We offer digital radiography that limits our patients' exposure by 90% and much more. One thing that has separated us from the others is our emphasis on educating our patients about their treatment options and oral health issues. This website is another step toward that goal. We hope that you can get answers to most of your questions. Remember all the contents in our site are for general information and they will not replace doctor's direct diagnosis and treatment planning for you or your family. We'll be glad to hear from you if you have specific any questions. 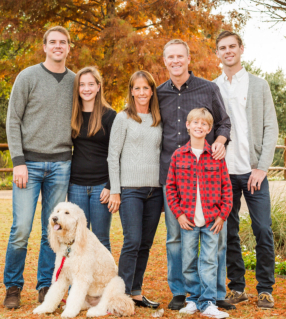 If you are looking for a great dentist in Lakeway call us today!